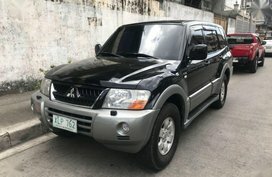 Find out what the Mitsubishi Pajero 2017 Philippines has to offer in terms of price, specs, interior & exterior in our full review on Philkotse.com. 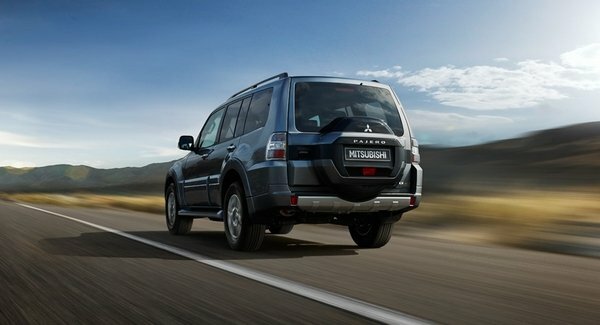 It’s hard to say about the Mitsubishi Pajero’s future. While its smaller sibling Montero Sport has notched up its success in local market, the Pajero seems to be put aside. 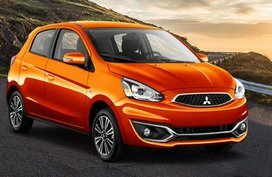 Thankfully, back in 2016, Mitsubishi sensibly decided to upgrade the SUV by giving it a stronger “heart”. 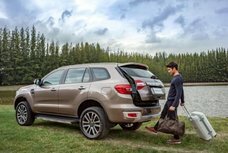 Frankly, this is a timely decision that significantly helped the Pajero retake its position in large crossover and PPV segment. 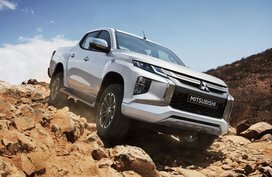 So, let’s find out together what’s new in the Pajero as well as what have brought it glory for decades in this Mitsubishi Pajero 2017 Review by Philkotse.com. 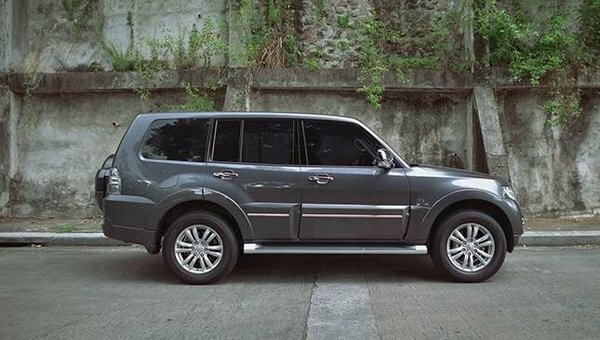 To know full well all this SUV has to offer, we’re going to analyze the top-end version - Mitsubishi Pajero GLS 2017 3.2 Di-D VGT. 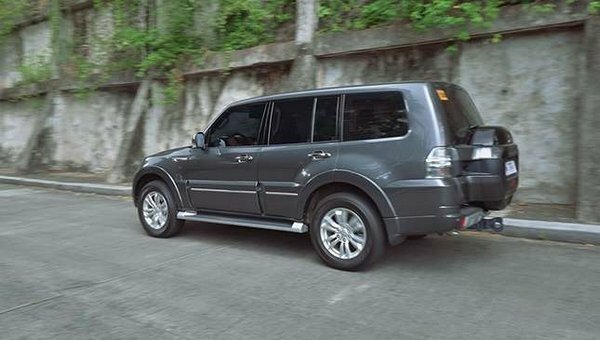 The updated Pajero looks as if it imitates most styling cues of the previous SUV from bumper to bumper. We still see the familiar upright styling, upswept headlamps and the accustomed tailgate-mounted spare tire. Even, the signature flared wheel arches have been there for generations. 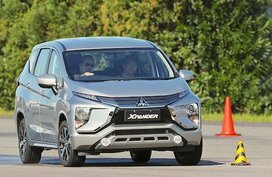 As mentioned earlier, Mitsubishi made changes under the hood, so it goes without saying that the Pajero exterior is old-school. That said, it’s not a problem as an eye-catching look cannot help it in going off-road. 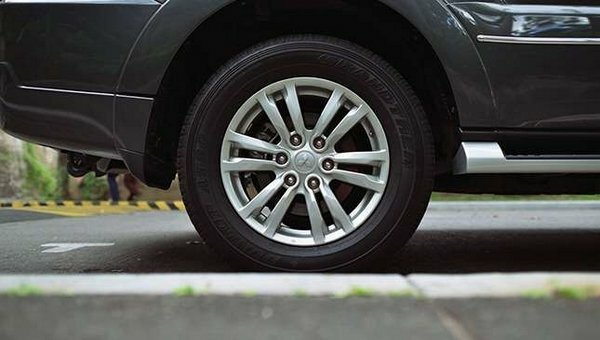 Yes, a high ground clearance and short approach angles are sufficient to fulfill its job, along with a low-profile tire trend with bulky 18-inch alloys. 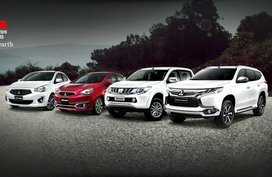 Also, they’re as much as the Pajero need to become an icon in automotive landscape. So, it’s better to let it be. Candidly, it is necessary to condemn the thick pillars for obscuring visibility in new vehicles. However, in the Pajero, a commanding view of the road is provided thanks to thin pillars. Soft and supportive front seats should also be applauded. 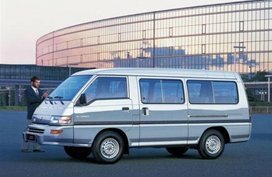 As for the rear, passengers can enjoy the view from the tall windows. 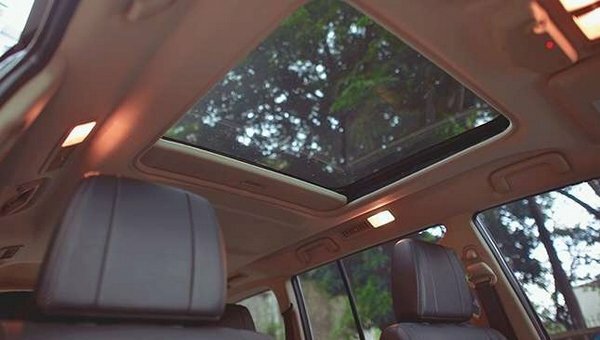 For more light, open the sunroof over your head. Head- and legroom are ample to keep you comfort. Nevertheless, if only the rear seats had more contour or lumbar support, everything would be faultless. When it comes to interior packaging, this old stager starts showing its age. In fact, seats in the second row don’t slide forward and putting the third row is an unpleasant task that requires you to remove a panel, lift the seats up and pull the single piece backrest out. After all, that row is just ideal for children. 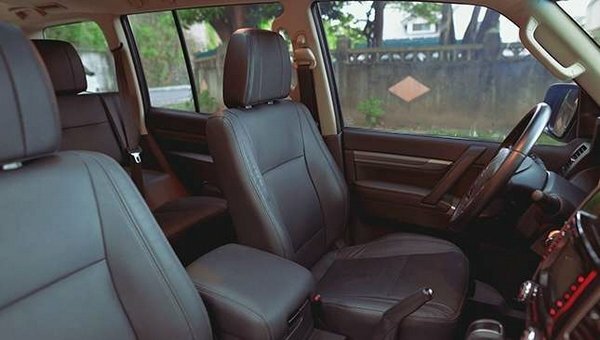 In terms of design, it can be said that you’re sitting in a car of last decade that features an upright and almost Spartan layout. If there is something new, it is just the touchscreen. No telescopic steering wheel adjustment and no automatic-up for power windows. Luckily, it has got a digital readout for altitude, fuel economy, average speed and compass. This is exactly what we’ve wait to show you. 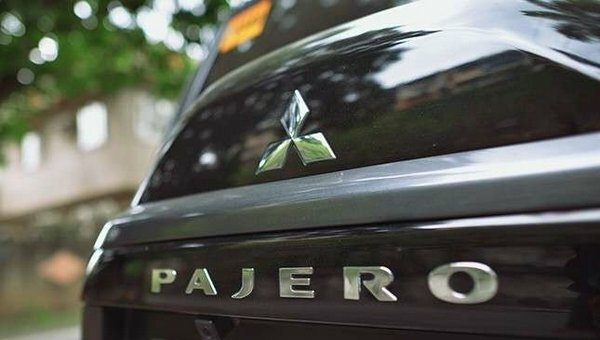 Newest in the 2017 Pajero is an upgraded engine as noted. Still the 3.2L DOHC Di-D turbo diesel mill, but currently it comes with a Variable Geometry Turbo. While the ancient unit just cranks out 192 PS, the tuned one is able to muster a higher output of 192 PS and 441 Nm of max torque. The power plant is armed with a 5-speed automatic gearbox with INVECS-II. Behind the wheel, you must have to ponder yourself how far turbo diesels have come. A rattling sound from the outside blends with a quick prod on the throttle will finally create a sound that’s more muffled that the Fieldmaster. Sound insulation is noteworthy in the aged SUV. The cabin is blissfully quiet without noise and vibration. If there is something you can hear from inside, it might be a little wind whistle coming from the large side mirrors. 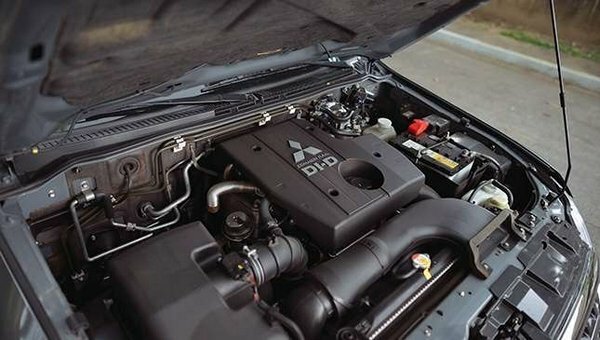 In aspect of performance, the new VGT engine can let the Pajero keep abreast of any modern vehicles’ capabilities. 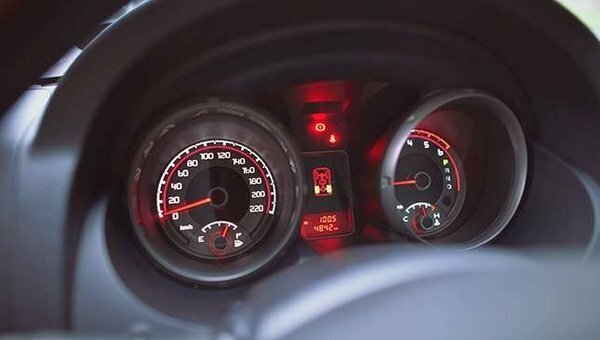 The acceleration is admirable and keeping going at highway speeds is a child’s play. Even when fully loaded, the car still performs efficiently. Sad to say, this mill has run through decades and turbo lag, no doubt, is obvious from the standstill. For all that, the performance makes us satisfied, to our eyes. 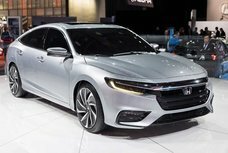 Additionally, more power means a less strained engine. Likewise, fuel economy is not poor as you’ve thought. In the city, the Pajero still does a commendable 8.2 km/L with an average speed of just 17 km/h. Highway mileage, on the other hand, indicates 13.1 km/L at 94 km/h. 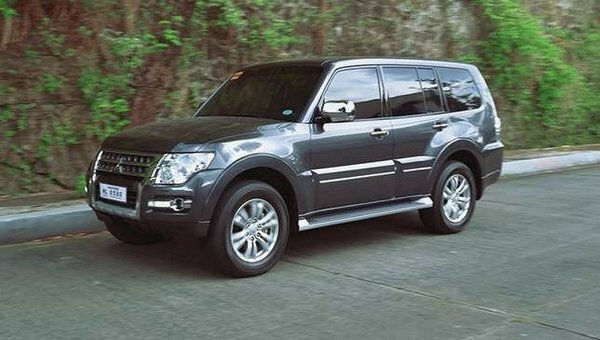 When judging the exterior, we’ve hinted at the Pajero’s off-road capabilities. Nonetheless, before discussing more this talent, we want to thrash out its performance around the city. 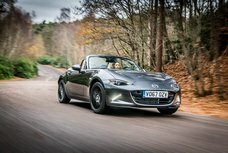 The ride is soft and excellently meets its duty of taking in road imperfections. With a weight of over 2.5 tons, do not worry that you could be blown away by strong crosswinds while in this giant. At low speeds, by contrast, the steering inputs are slow and the body pitch is pronounced. 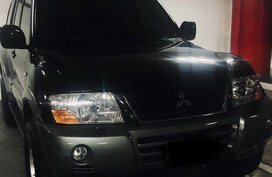 To be honest, the Mitsubishi Pajero is not a dynamic workhorse in its class regarding handling. Forget the Pajero’s frailty as it’s time for it to shine. Off-roading, as you all know, is its forte. Owing to a great suspension system in charge of absorbing bumps and ruts, the cruiser will kept you fixed in the cockpit while travelling rough roads. Some off-road fans complain about the lack of rigid axles, the all-independent set up will compensate for that. A center locking differential also comes as an offering. As a fun fact, perhaps the Pajero is among the SUVs that are not afraid of getting dirty. 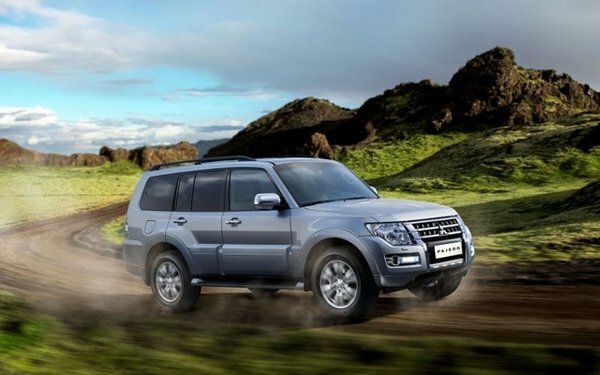 It is possible that the brilliant performance makes the Mitsubishi Pajero 2017 expensive. It is at the far end of two million pesos: ₱2,770,000 to be exact. Generally speaking, it's difficult to justify buying a Pajero when it comes to price. 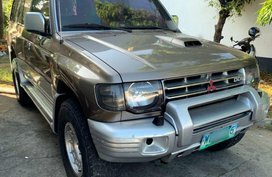 There must be reasons why the Mitsubishi Pajero has still been loved in our country despite a fairly exorbitant price tag. Ride and handling is not masterly, the appearance and cabin are a little banal. However, it is admitted that we cannot resist its appeal while taking on roads less traveled. 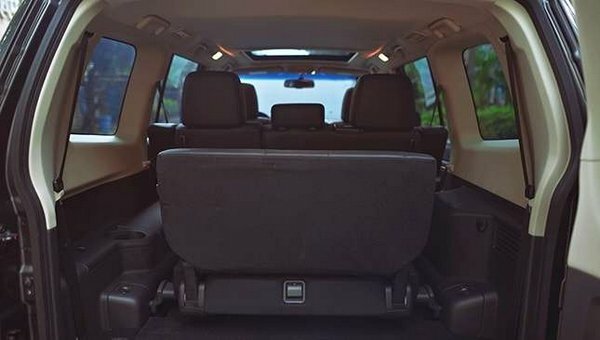 What do you make of this SUV? 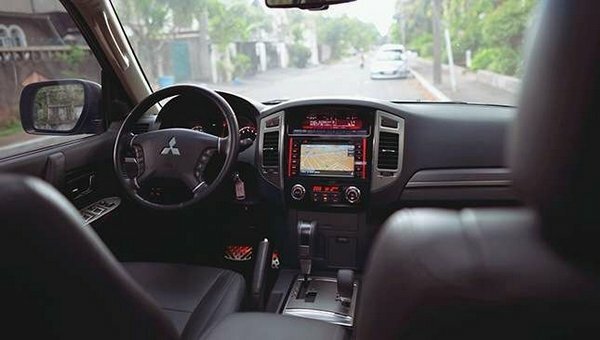 Hope that after scanning our Mitsubishi Pajero 2017 Review, you can confidently write down your thoughts; this also means our article has enormously been successful. 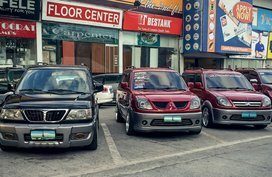 For more in-depth reviews about other sought-after vehicles in the Philippines, please click here.